It’s not just what he does on the ice that makes John Klingberg one of the league’s most respected stars. His superlative skating skills, rocket shot, precision passing and spark plug offence continue to receive rave reviews throughout the hockey world. But those who know Dallas’ multi-talented defenceman best also speak glowingly of what the Swede brings before, between, during and after games. It’s easy to understand why his teammates are listening. 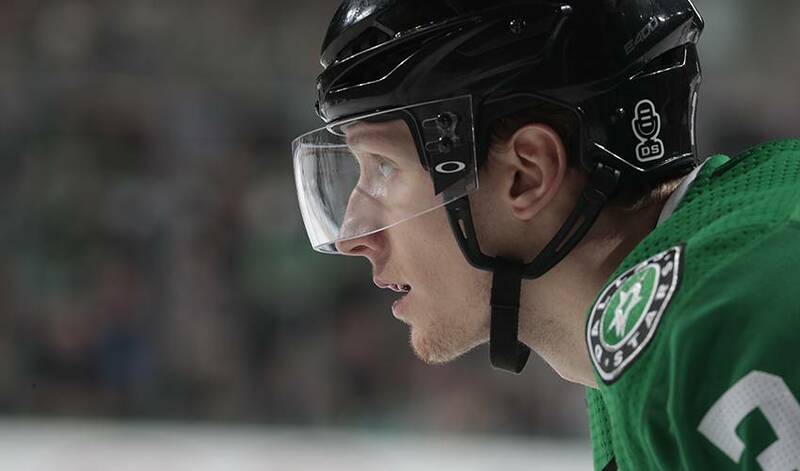 In his fourth NHL season, Klingberg, who switched from forward to defence when he was 15, is constantly working on elevating every aspect of his game, the pursuit of a strong all-around game always his top priority. That commitment hasn’t gone unnoticed by the Dallas players. Putting up personal-best numbers – he’s on pace for a career-high 70 points – or winning a Norris Trophy isn’t what drives Klingberg, who finished sixth in voting for top defenceman honours in 2015-16. Instead, it’s a shot at playing for the Stanley Cup that motivates the 25-year-old alternate captain, who has skated in just 13 NHL playoff games. “His genuine care for his teammates and winning has guys looking to him,” noted Hamhuis. Still, those teammates admit it’s hard not to heap praise on Klingberg’s abundance of offensive talent. There’s no need to twist arms to get them talking about it. For Pitlick, one thing in particular stands out when it comes to the player who is closing in on 300 career NHL games. “What’s most impressive is his ability to get pucks to the net through traffic and find sticks for tips,” he said. Hamhuis, who celebrated his 1,000th NHL game on January 30, regards Klingberg, averaging 23:31 of ice time per game in 2017-18, as one of the game’s premier offensive talents – and not just among defencemen. He also has the ability to make a statement without even touching the puck. There’s something about Da Beauty League that brings out the best in NHL players, on and off the ice.